Fibroids affect more than 40% of women, occurring 3 times more in black women. In fact, studies show that fibroids actually occur more frequently and at younger ages in black women than in women of any other race. For many of these women, younger onset and larger fibroids can lead to very severe symptoms of bleeding and pain. Some may wonder if this disproportionate effect on black women is the result of genetics, or the social inequities in the US healthcare system. It is no secret that many minority groups do not have the same access to healthcare and insurance in the US, despite the recent improvements in healthcare coverage. What is even more problematic is that there is no free way to fix fibroids, such as lifestyle changes or taking a magic pill. It is true that a healthy diet and exercise can have positive impacts on overall well-being, but once fibroids have grown to a large enough size to cause problems, they do not shrink. Furthermore, more African American women are not offered minimally invasive procedures to treat fibroids, such as fibroid embolization, and undergo unnecessary hysterectomies. 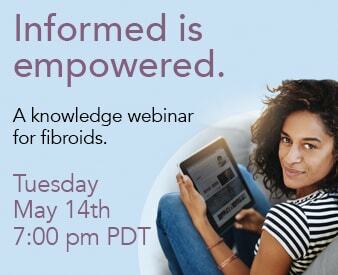 Making sure you know and understand your options, and where to find treatment for specific situation with fibroids is important. Listed below are a few tips for finding fibroid treatment that’s right for you. Stop fibroids and start living. Take your health into your hands, without treatment the problem will not go away.